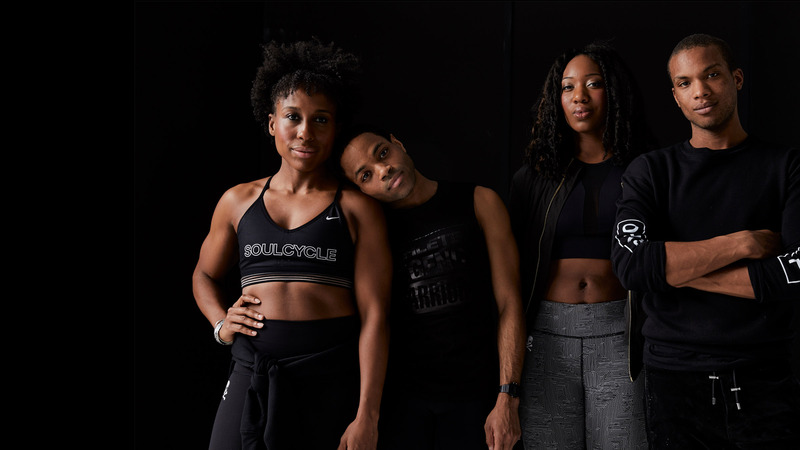 This essay was written by instructor Hettie Barnhill (pictured second from right), who is trained as a dancer and choreographer and has been teaching at SoulCycle since April 2016. As we approach the end of February, I could not help but to reflect on what this month means to some of us here at SoulCycle. A week ago, a large group of instructors was asked to come together at a photoshoot for the new retail collection that is now available. When I got to set, I felt so much connection and pride. While looking around at all of the instructors gathered together, I could feel the love we all had for each other. But, it also made me realize something else. SoulCycle represents everyone and I think it's important to show all the colorful people who make up this wonderful company. I was inspired to ask the photographer to take a picture in honor of Black History month. It is not only important to show the beautiful brown faces that help lead our pack daily, but it is important to show what diversity within such a successful company in 2017 looks like... and to be an example and inspiration for others. Every time I enter my studio on the Upper West Side and get on the bike, I always take a moment to look up and see who is joining me in the small, intimate space. It makes me happy to see the wide range of individuals, completely different from each other — completely different from me — yet somehow we are able to laugh, cry, sweat, dance and push together. I celebrate the diversity that makes my room come alive every week. To truly celebrate our differences, we must start with ourselves. 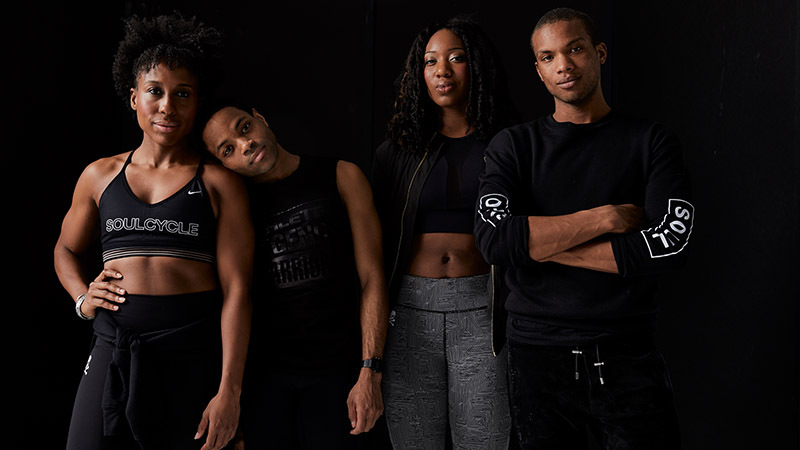 For me, I am a proud black woman and I want to thank SoulCycle for saying YES to this shoot, for committing to highlight and feature an important and necessary message, our message. Happy Black History Month, all day, everyday.